Calista Leah Liew: Future Music Festival Asia Pre-Party at Rootz! 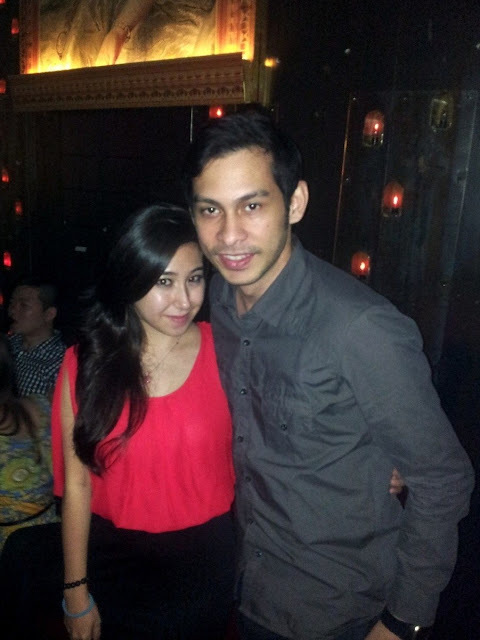 Future Music Festival Asia Pre-Party at Rootz! It's less than a week away, and guess who is gonna be partying the nights away, BOTH dates? Woots! The one and only Don Chan! Even though it was my first time meeting Don and the other bloggers, I had so much fun! 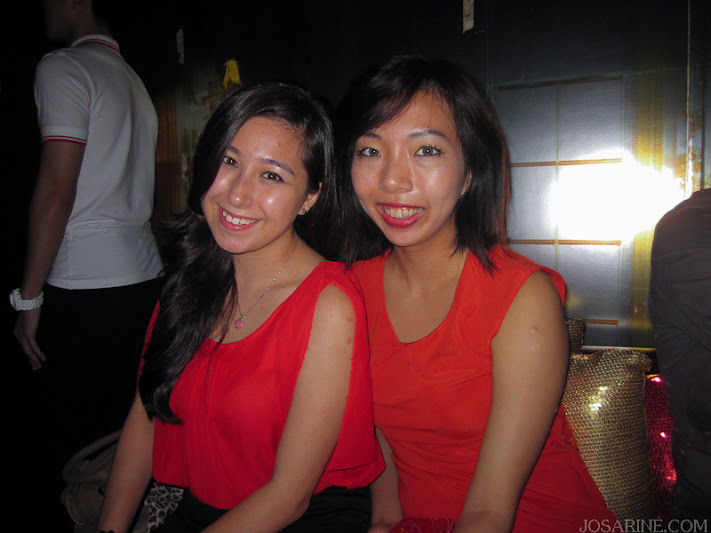 Nathalie from KK was also one of the selected bloggers, and together with some of the most fun-loving people in town, we danced the night away to the beats of local DJs Joe Flizzow and Sona One, and free flow Asahi. 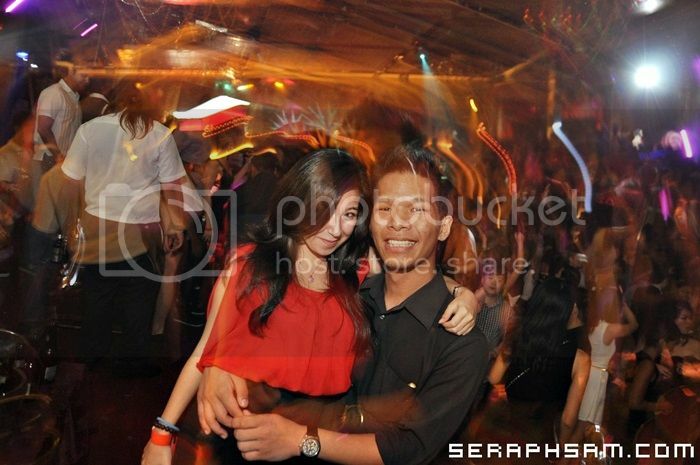 With Yukiko, photo courtesy of Joanna! I cant wait to have double, triple, 10 times the fun this coming weekend! With big names like Armin Van Buuren, Prodigy, FUN, Temper Trap etc coming down for one non-stop party, I think I better get some rest this week before going all out on the 15th and 16th at Sepang International Circuit! With Nath and Brendan of BKL Light Writing, who this photo is courtesy of! 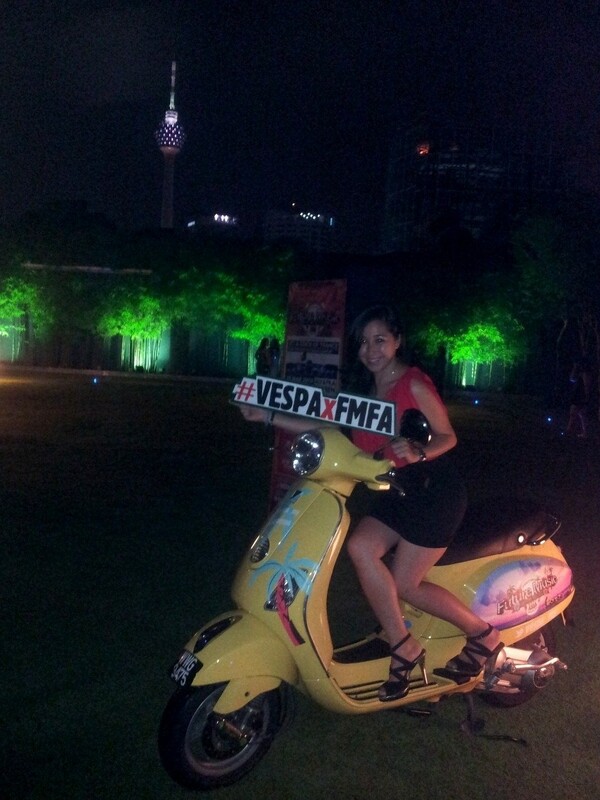 In conjunction with FMFA, Vespa Malaysia is also holding a competition where 4 lucky winners will win a Vespa each, and several others also stand a chance to win prizes like iPad Minis etc! 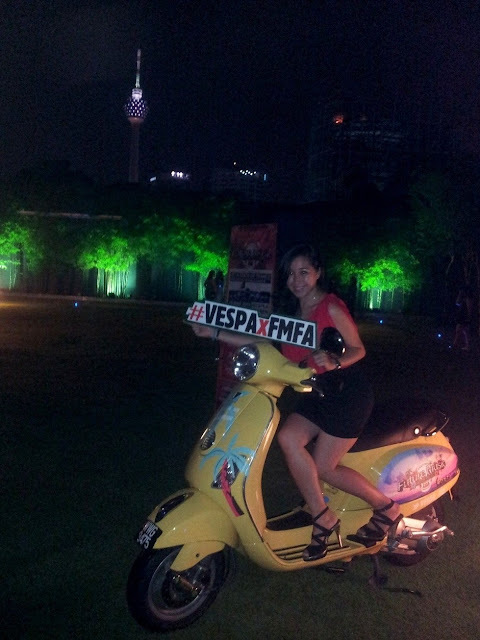 All you have to do is take a photo with the FMFA Vespa, post it on Instagram with the hashtag #VESPAxFMFA and get as many likes as possible! So if you think I'd look super cool rolling around town on one of these retro scooters, do me a favour and hop on over to my Instagram (ID: CalistaLeahLiew) and show me some love! Nath, me, Yukiko and Sam! Dont be left behind! Tickets are still available for purchase at http://www.futuremusicfestival.asia/tickets/ , although early bird and VIP tickets have already sold out. You can choose to attend either the 15th for A State of Trance or the 16th to rock out to Prodigy, Fun, PSY, Temper Trap etc, OR get a 2 day pass! Cant wait to see you there! More info and updates at http://www.facebook.com/futuremusicasia & https://facebook.com/livescapeasia . Future Music Festival Asia 2013 Was Rocking!! A State Of Trance 600 - Version: Kuala Lumpur!